Please note: I’m giving you the steps for a free blog, not a self-hosted one – self-hosted blogs are also easy to work and more stylish but I think that the free scheme is good for a beginner in blogging. Choose your platform: Blogger or WordPress or even Tumblr. I’m more of a WordPress fan for this type of blogs as they are easier, more simple and there is support online and through wordpress, too. Choose your name. Brainstorm and write down a few ideas, think of what topics you’d like to cover and play with their meaning or combine them. Be creative J When you have chosen your platform, you can try your name and see if it is available. Pick something simple and memorable, something you will be able to say to someone without having to spell it out. Choose a theme – I’m always wasting ages on choosing themes! Most times I end up with the same as I seriously can’t choose J But don’t waste too much time on this step: choose a simple one, easily customizable and when you learn your platform sufficiently you will be able to upgrade to a more complex one, add widgets, plugins etc. 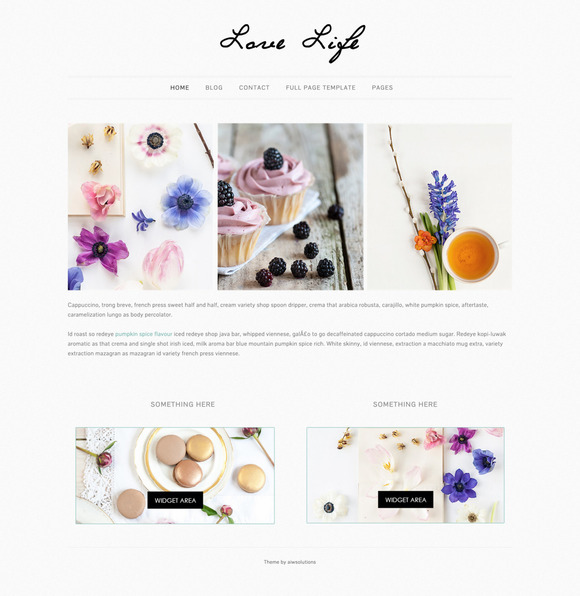 There are many pre-designed themes for various subjects, such as magazines or food blogging. Decide on your menu and pages: usually your menu is the line under the header image and over your content and displays your pages (such as About Me) and categories (such as Books/Magazines). You can also have just one page and have your articles show like a diary. My blog has only 2 pages while my Greek blog features categories as I write for a lot of things there and wanted to make navigation easier. Your blog does not have to be immaculate from day one, so don’t stress too much about it but don’t forget to thoroughly proofread your posts, choose nice, clear images (plenty of advice online for which images are best for blogging) and don’t forget to be your fabulous self! Don’t try to copy the exact same look of someone’s blog – they might be cool but they are not you, right? And if you are at loss for inspiration, check out this post about Where to find Inspiration and how to keep it.